Baseball’s regular season is right around the corner, and no other sport seems to lend itself to spiritual applications than America’s pastime. In this collection of thirty devotionals, Del Duduit and others collect stories from the diamond and relate them to one’s faith journey. The devotions are encouraging, and many of them would work well as illustrations in sermons. Like any book, there are positive and negative aspects in Dugout Devotions. There is a proper emphasis on the importance of relying on the Word rather than just feelings (2 Timothy 3:16-17). However, there is the contradictory mention of a player who thought the Lord “tapped…him on the shoulder.” In another place, a devotional makes reference to the reader “really feel(ing) God calling you to go on (a mission) trip,” and another talks of a player “receiv(ing) a divine call” about human trafficking. Many of the entries end with a section called “Step Up To The Plate,” offering suggestions how one might apply the lessons from the devotion. Bible study, prayer, and attendance to worship services are often among the recommendations. While there are several devotions that discuss a player’s decision to give his life to Christ, there is no mention of how that is done. When one reads the book of Acts and the epistles, the conversion process is on display: one becomes a Christian by hearing the gospel (Romans 10:17), believing it (Romans 10:9-10), repenting of sin (Acts 3:19), confessing one’s belief (Acts 8:37), and being immersed for the remission of sins (Acts 2:38). With so much confusion in the religious world, it would be prudent to include such information in any religious book. One cannot decide for himself how he comes to God; only God can tell us how to do that, and He does tell us in His Word. For readers who are grounded in the truth, these devotions can be encouraging. One must always be careful, though, regardless of the writer, to consistently verify what man writes with what God has revealed. There are a lot of people with good intentions that will end up on the wrong team in eternity because they trusted in man without turning to God’s Word (Matthew 7:13-23). The writers of the devotions are Del Duduit, Michelle Medlock Adams, Ryan Farr, Beckie Lindsey, Scott McCausey, Clint Rutledge, and Cyle Young. The major leaguer players, coaches, and executives featured are Brian Dozier, Albert Pujols, Ben Zobrist, Clayton Kershaw, Francisco Lindor, Aaron Judge, Andrew McCutchen, Andy Pettitte, Michael Lorenzen, Tony Graffanino, R.A. Dickey, Mike Sarbaugh, Adam Wainwright, Cody Allen, Jim Morris, Mike Matheny, Blaine Boyer, Mike Rikard, Tim Martin, Matt Carpenter, and Adam Frazier. 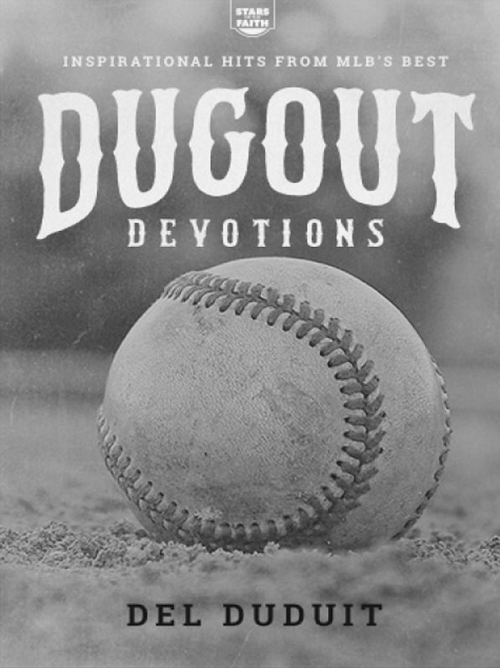 Click here to purchase Dugout Devotions by Del Duduit. Need some new rock in your life? 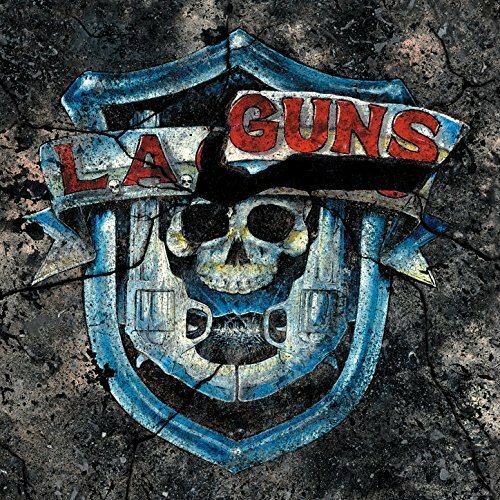 The Missing Peace, the brand new LA Guns album just dropped today, featuring the first new music from Phil Lewis and Tracii Guns in fifteen years. Johnny Martin, Shane Fitzgibbon, and Michael Grant join Phil and Tracii on this trip back to the Sunset Strip. It’s not just nostalgia, though—these songs are actually good! If you love the “hair metal” scene, this record will put you back where you belong. Hands-down, the best reunion album from a group of that era. There are some objectionable lyrics, as there is with much from the rock world, but there are some great clean songs as well. The musicianship is top-notch. I like Stacey Blades, but Tracii Guns is LA Guns. The Missing Peace shows how much we have missed in the past 15 years while Phil and Tracii were at odds. I am so glad they have buried the hatchet and have given us this new music. Phil and Tracii are good individually, but together they make great music. Michael Grant adds quite a bit to the mix as well. Grant’s former band, Endeverafter, toured with Poison and Cinderella, and released one of the best hair metal-esque albums ten years ago, but went largely unnoticed due to poor promotion and a general distaste for the genre at the time. I highly recommend adding Kiss or Kill to your collection (after The Missing Peace, of course). The Missing Peace is available on CD or vinyl, or can be downloaded in MP3 format. No longer the “lovable losers,” the Cubs finally overcame their 108-year drought by winning the World Championship in 2016. With the team poised to make another run at the title this year, there is no better time to revisit the team’s rich history. The Chicago Tribune Book of the Chicago Cubs: A Decade-by-Decade History goes all the way back to the team’s beginnings as one of the charter members of the National League in 1876. Those first 24 years, during which they changed from the White Stockings to the Colts to the Orphans, are covered in just a few pages. Beginning with the 1900s, the book goes into much more depth, featuring several player profiles, decade highlights, and a “Team of the Decade” feature. The Cubs were first called the Cubs in 1902, but that did not completely settle the name of the club. It was not until 1907 that the nickname was officially adopted due to the support of Frank Chance. Replete with photographs from the Tribune’s vast archives, this volume is a treasure trove for fans of baseball history, the Cubs in particular. Add to the player profiles a number of topical articles of interest, including “Tinker to Evers to Chance” and “Babe Ruth’s ‘called shot’,” and the history of the franchise comes alive. Of course, the book features the all-time greats like Greg Maddux, Ernie Banks, Ryne Sandberg, and Fergie Jenkins, but there are also stories about lesser-known players, such as Jeff Pico, who held the Reds to only four hits in his big league debut, and Chuck Connors, who is better known for his role as “The Rifleman” on television. The decade break-downs conclude with the celebration of the Cubs’ World Championship in 2016. But wait, there’s more! In a section called “Extra Innings,” The Chicago Tribune Book of the Chicago Cubs delves into everything else: the ballparks, the award winners, the postseasons, no-hitters, best and worst trades, and the legends, curses, and myths that surround the team. Pound-for-pound (and it is a heavy one, measuring 9.5×11 and 344 pages), this is the best book on Chicago Cubs history on the market. Cubs fans will absolutely love it, regardless of the results of the 2017 season. Learn more about Agate Midway. 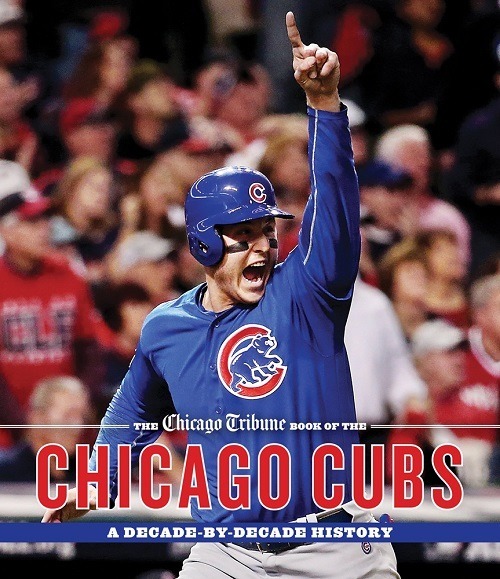 Purchase The Chicago Tribune Book of the Chicago Cubs edited by Joe Knowles. Ask any baseball fan about rivalries, and you will likely hear about the Yankees and Red Sox, or the Giants and Dodgers, or the Cubs and Cardinals. But four decades ago, the answer may have included the Cincinnati Reds and Los Angeles Dodgers. Both teams played in the National League West, and consistently battled for a postseason spot. From 1970 to 1979, with the exception of 1971, these teams finished first and second in the division; seven out of ten years, one of these teams made it all the way to the World Series. If you were a Reds fan, you hated the Dodgers, and vice versa. 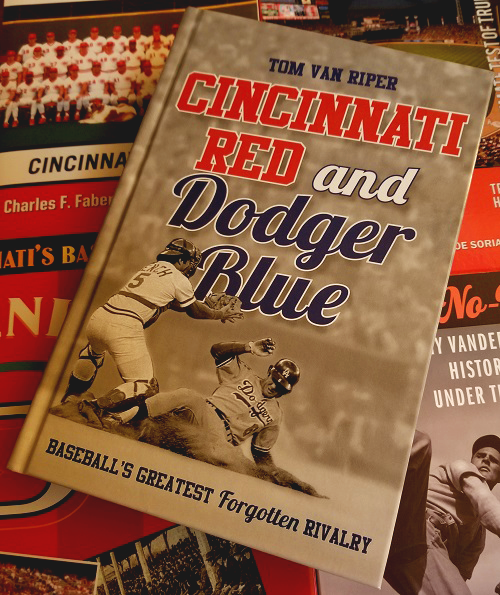 Author Tom Van Riper goes back in time in Cincinnati Red and Dodger Blue, revisiting the rivalry of these 1970s powerhouses, taking a particularly close look at a game in late September when the Reds visited Dodger Stadium. Cincinnati won that game in extra innings, and refused to relinquish first place the rest of the year. Van Riper spotlights all of the major names from each team: the Hall of Famers (Johnny Bench, Joe Morgan, Tony Perez, Don Sutton), the superstars (Pete Rose, Steve Garvey, Ron Cey), the executives (Al Campanis and Bob Howsam), and even the announcers (Vin Scully and Al Michaels). Van Riper also touches on some of the off-the-field history revolving around these teams, including the surgery named after Los Angeles pitcher Tommy John, the free agency fiasco involving Andy Messersmith, and the late-‘80s gambling woes of the Hit King. Covering so many players from two teams, Van Riper is unable to go into much depth in this relatively short volume, just over 200 pages. As such, some of the anecdotes seem disjointed and forced, even if they are relevant to the rivalry. There are better historical accounts of the Big Red Machine out there, and I’m sure the ‘70s Dodgers have had similar superior treatments as well. Cincinnati Red and Dodger Blue is a good primer on both teams, but I would not consider it a must-have if your library already boasts other Cincinnati or Los Angeles team histories. Learn more about Rowman & Littlefield. Purchase Cincinnati Red and Dodger Blue: Baseball’s Greatest Forgotten Rivalry by Tom Van Riper. Chuck Klosterman is a seemingly intelligent man with a knack for putting words together in sentences that generally make sense. 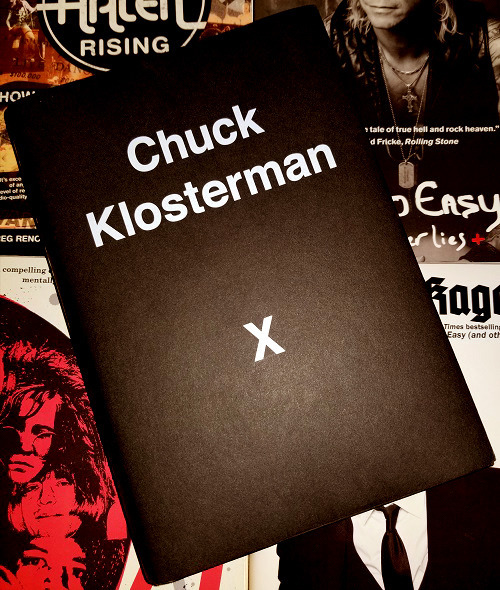 His latest release, Chuck Klosterman X, is a collection of essays written over the past ten years or so for various outlets, including GQ, Esquire, and the too-soon defunct Grantland. He weaves narratives from the worlds of sports and music and often intertwines them seamlessly, writing about Gnarls Barkley (to whom an entire essay is dedicated) as easily as Charles Barkley (who is only mentioned in connection with Gnarls Barkley). Klosterman’s thought process can be confusing, such as his examination of nostalgia and what he terms “false nostalgia” in the piece, “That’s Not How it Happened.” At the beginning of the essay, I was nodding in agreement, but by the time he asserts that the Internet has effectively destroyed nostalgia because what we consider nostalgia isn’t really nostalgia anyway—I’m lost. I’m sure he understood where he was going and how he was getting there, and many of his readers likely understood as well, but I got so hung up on hearing Ozzy Osbourne’s “Centre of Eternity” that I lost my concentration. Is Klosterman a good writer? Absolutely. Is he entertaining? Most of the time—especially in his footnotes. He sprinkles obscenities here and there, and his sometimes not-so-subtle attempts to undermine faith are annoying. But when he sticks to sports and music without straying into politics and religion, his essays are enjoyable. His interviews with Jimmy Page of the legendary Led Zeppelin and Eddie Van Halen of one of the greatest American rock acts ever are particularly fun reads, and his epic piece on KISS (including a review of all of the band’s records, and all of the band members’ solo records) is only diminished by the profanities that litter it. Perhaps I enjoyed this particular essay a little too much, but how could I not love it when someone besides myself recognizes the first Vinnie Vincent Invasion record as a masterpiece (Klosterman rates it an A+). Long story short (too late? ), Chuck Klosterman X is a trip down memory lane, hopping from Tom Brady and the failed Deflategate interview to a eulogy for Warrant’s Jani Lane. You might be amused, you might be offended, but you will not be bored reading this book. Learn more about Blue Rider Press. Purchase Chuck Klosterman X: A Highly Specific, Defiantly Incomplete History of the Early 21st Century by Chuck Klosterman. Thirty-day challenges are a fun way to step out of your comfort zone. I have seen several such challenges on Twitter and in the blogosphere for a few years now. Some focus on music, others on photography, and there is even a recent 30-day challenge for baseball card collectors. If you are a creative type, you may enjoy Creative Sprint by Noah Scalin and Mica Scalin. There is not one, but six 30-day challenges presented in this book to help overcome roadblocks in your thought process. Creative Sprint can be used by any type of artist: writer, photographer, painter, or musician. There is space provided on each page to document how you incorporated the prompt into your work, and several prompts suggest a bonus challenge. The six challenges focus on different themes: “Dream Small,” “Perfection is Overrated,” “Limitations are Your Friends,” “Work with the Unexpected,” “Expand Your Default Settings,” and “Inspiration is Everywhere.” Throughout the book, the Scalins include testimonials from artists who utilized the Creative Sprint method in their work, and quotes from creative types to help spur you on. Creative Sprint will challenge and has the potential to improve any artist’s work. Learn more about Voyageur Press. 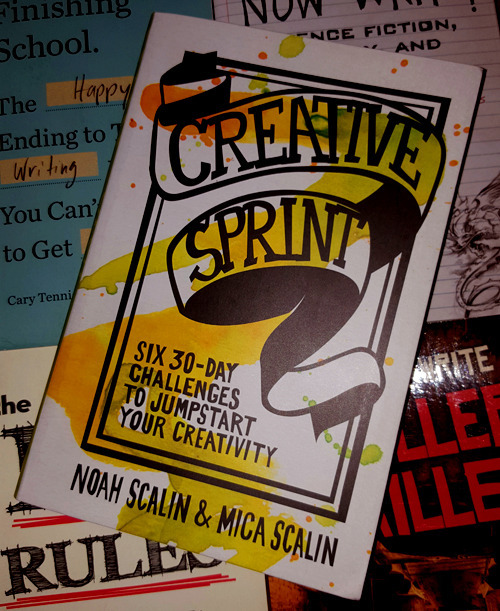 Purchase Creative Sprint: Six 30-Day Challenges to Jumpstart Your Creativity by Noah Scalin & Mica Scalin. It never ceases to amaze me how many people use “there,” “their,” and “they’re” incorrectly. The abuse of the English language is on full display on social media, on blogs, and even in printed materials. Call me a Grammar Nazi if you must (though I rarely point out another’s wrongness), but I cringe when I read “your special” or “its okay.” In light of the preponderance of grammatical errors in the twenty-first century, Kris Spisak’s Get a Grip on Your Grammar should be a prerequisite to obtaining a Facebook account, let alone writing a report for school or work. The red banner on the front cover says it all: “A Grammar Book for Those Who Hate Grammar.” The English language can be confusing, and Spisak addresses with clarity and humor 250 common mistakes found in modern writing. There are five sections in the book: “Word Usage,” “Punctuation,” “Idioms,” “Business Writing and Etiquette,” and “Creative Writing and Storytelling.” What is the difference between “accept” and “except”? When should you use single quotation marks as opposed to double quotation marks? Is the proper phrase “for all intents and purposes” or “for all intensive purposes”? Spisak concisely explains all of these and more without going over the reader’s head. Spisak also addresses the use of slang and jargon in professional writing, as well as several habits a writer should avoid. In the last section of the book, she writes about problems aspiring creative writers often face, and offers tips to edit many of those problems out of their pieces. While reading, I was reminded of several mistakes that I commonly make in my blog posts, church bulletin articles, and (for the moment) unpublished fiction. No doubt, I need to use “Ctrl” + “F” more often and trim my writing. Get a Grip on Your Grammar is an indispensable resource that should be on every person’s bookshelf, whether that person is writing professionally, blogging, or just jotting thoughtful notes of encouragement to their friends and family. Learn more about Career Press. 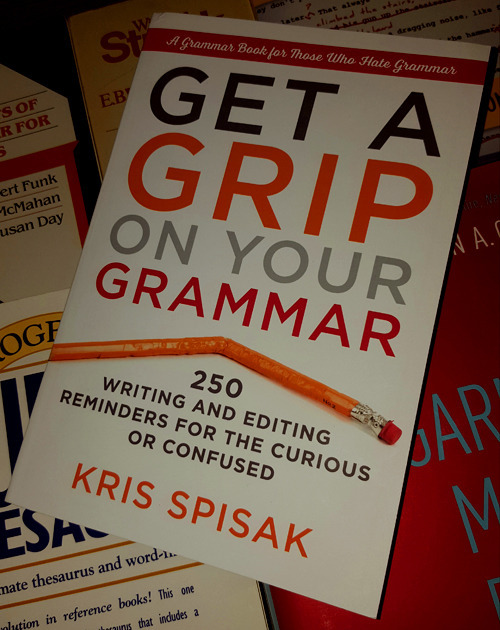 Purchase Get a Grip on Your Grammar: 250 Writing and Editing Reminders for the Curious or Confused by Kris Spisak. B.B. King’s Lucille. Eric Clapton’s Blackie. Eddie Van Halen’s Frankenstrat. Keith Richards’ Micawber. Over time, guitar legends become so connected with their instruments, that it is difficult to think of one without the other. It seems strange to imagine Slash playing anything but a Les Paul, or Yngwie Malmsteen with something other than a Stratocaster (and a vintage white one, at that). 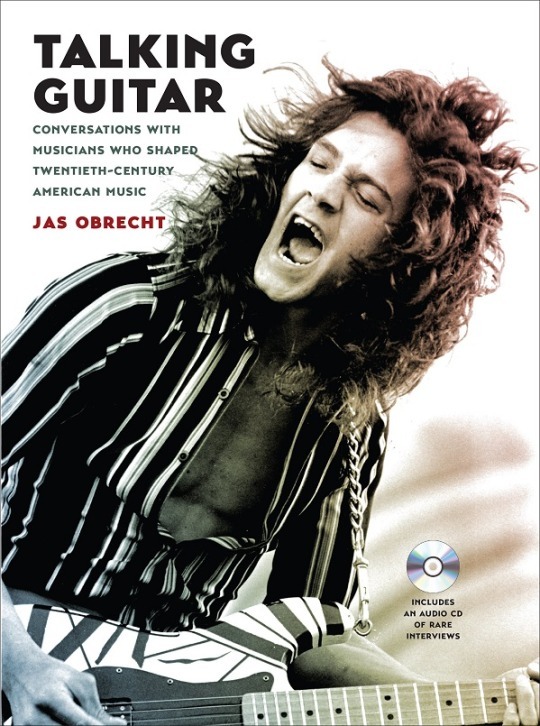 In Ultimate Star Guitars: Expanded Edition, Dave Hunter explains how these musicians became so connected to their instruments of choice, often revealing how such instruments were acquired and why the artists chose them. A fantastic collection of stories and photographs, Ultimate Star Guitars: Expanded Edition shows that music history is not made with pristine instruments designed to be on display in glass cases, but with beat-up, modified, and often underappreciated models. 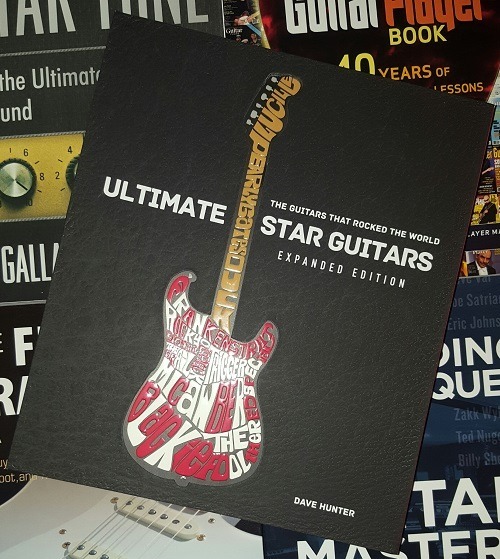 Purchase Ultimate Star Guitars: Expanded Edition by Dave Hunter. When I think of the best and worst trades in history, I’ll admit I’m biased. The Reds unloading Frank Robinson at “an old thirty” ranks among the worst in my mind, while the acquisition of Joe Morgan (along with Cesar Geronimo and Jack Billingham) is one of the best. Lopsided deals like these are not the focus of Shawn Krest’s information Baseball Meat Market; rather, the author focuses on deals that generally helped both sides, some immediately (such as Doyle Alexander to the Tigers), and some over the long haul (like John Smoltz to the Braves in the same deal). There are a few bad trades among Krest’s twenty chapters, generally dealing with prospects that were dealt for next-to-nothing and later developed into major talents, such as Jay Buhner and Ryne Sandberg. I truly enjoyed reading about Pat Gillick’s dealings with Joe McIlvane in the 1990 Winter Meetings, in which the two general managers shook things up by trading four All-Stars —Fred McGriff and Tony Fernandez going to San Diego in exchange for Joe Carter and future Hall of Famer Roberto Alomar. Krest masterfully describes the back-and-forth in this and many other deals, and includes several incarnations of trades that never occurred. For instance, before the Tigers traded David Wells to the Reds in 1995, the Yankees offered them a minor league starter by the name of Mariano Rivera. Later in the year, before Boomer was dealt to Baltimore, the Yanks attempted to get the hefty lefty from Cincinnati for Rivera and Jorge Posada. As a Reds fan, I’m in tears at this revelation. Krest examines a number of trades, most in the past few decades, including both 1998 trades involving Mike Piazza, Florida’s deal sending Miguel Cabrera and Dontrelle Willis to Detroit (and some of the other “what-if” situations that were involved), the Alex Rodriguez debacle, Rick Sutcliffe, Von Hayes, Sammy Sosa, and more. The author does reach back into history a little further a few times, discussing the seventeen-player trade between the Yankees and Orioles in 1954 and the 1969 deal that sent Curt Flood to Philadelphia…where he refused to play, eventually ushering in free agency. A well-researched and well-written book, baseball fans will love Krest’s Baseball Meat Market and the many hypotheticals trades that could have affected their favorite teams. 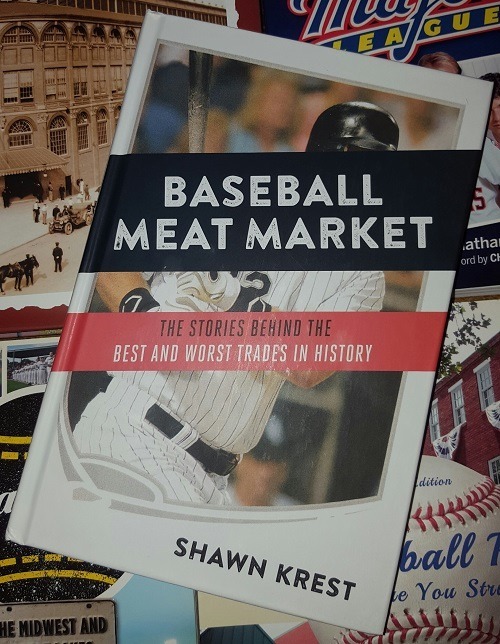 Learn more about Page Street Publishing Co.
Purchase Baseball Meat Market: The Stories Behind the Best and Worst Trades in History by Shawn Krest.